When commercial shop fitters Zayer Mirza and Joanne Moseley discovered a 70s bungalow tucked away on a quiet road at the edge of the Peak District National Park, they immediately snapped it up – seeing the full potential in the existing dated building and the land around it. After deciding to renovate and extend the whole property, they both knew that they wanted the kitchen to be at the centre of their home and it was the first room they wanted to have designed. They had their heart set on creating a clean, contemporary design that would come to set the theme for the whole property development. The result certainly doesn’t disappoint – a functional, open plan kitchen, perfect for entertaining or relaxing with the family. The clever use of high gloss black and white surfaces, glass and lighting gives the room its unique feel. In fact, aside from its sheer size, the first thing that strikes you is the clever use of contrast and mood lighting. The combination of natural light, spot lighting, and even LED lighting really help to create the right atmosphere for this multifunctional living space. “We knew we had to create different areas for different activities – reading, relaxing, watching TV or catching up on paperwork,” said Joanne. “Different types of lighting can help to link these areas or create distinct zones within a space. Aesthetically, mood lighting can change the ambience of the kitchen from the practical preparation space in the kitchen to the chill-out and entertainment area. Kitchen Designer, Roger Astin, said: “If you find the trend for all-black or white designs a little too stark, follow the Mirza’s lead and combine them with a warmer tone such as Walnut. 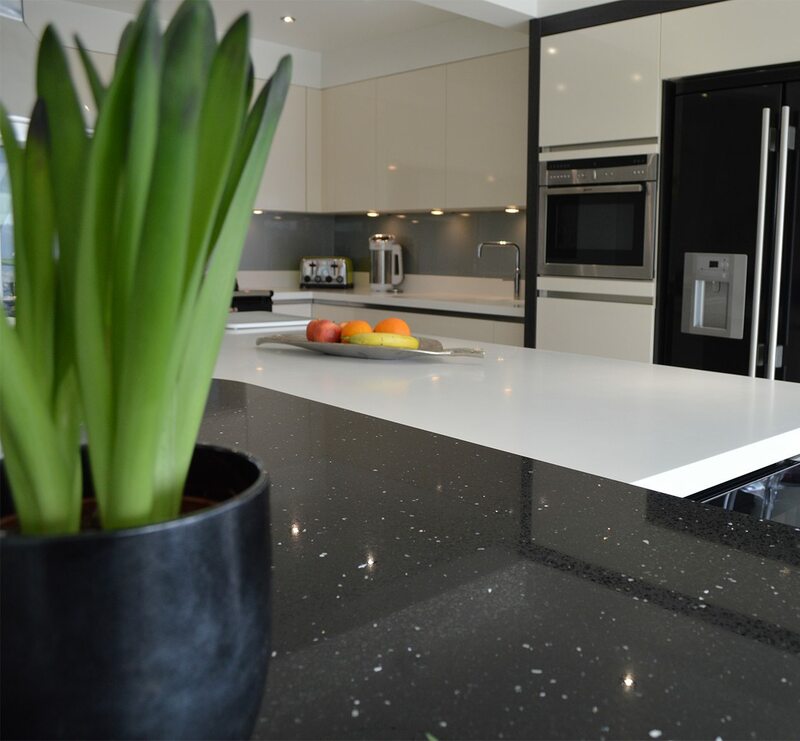 “With black glossy Star Galaxy solid granite worktops, which have a lovely bronze fleck, the whole design is very dramatic. Using white as the predominant gloss finish helps to keep finger marks to a minimum in this chic German handleless design. 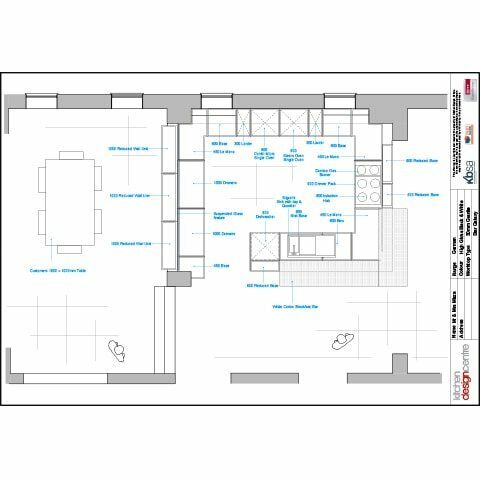 As with most modern kitchens, functionality is key and the room was designed to make the very best use of the space available. 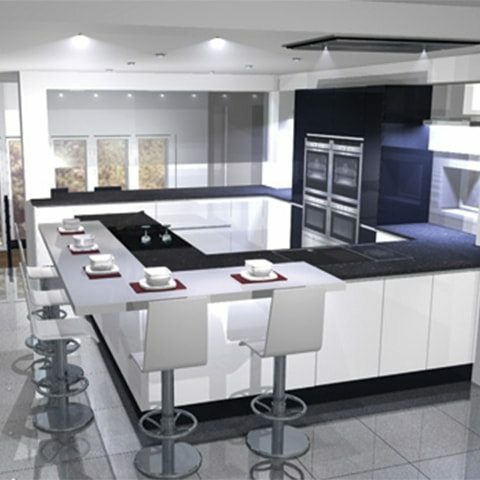 It has an abundance of durable, attractive work surfaces allowing room for food preparation. But it’s the little things that make this design so unique, based around the specific needs of Joanne, Zayer and their family. 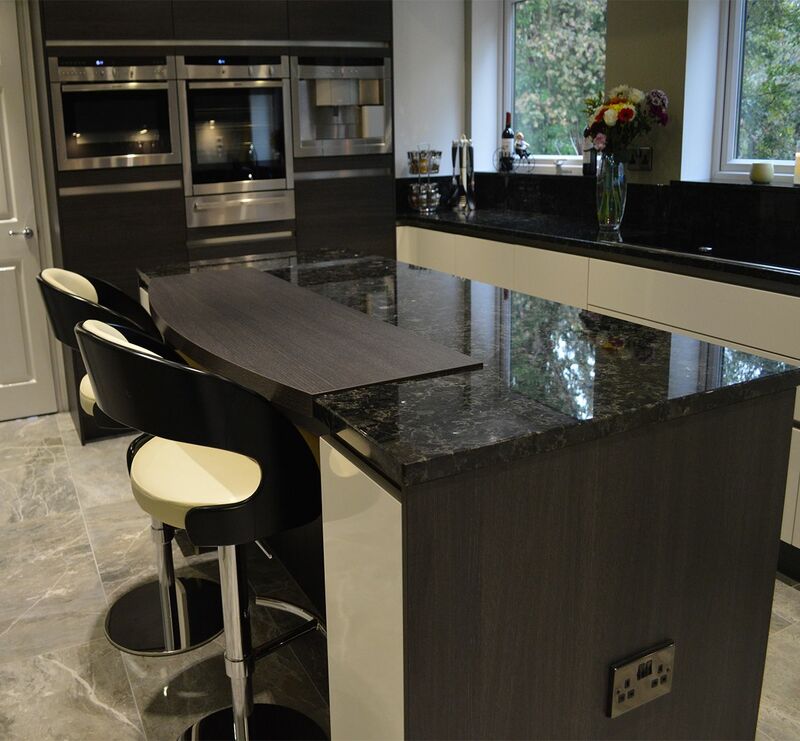 Joanne commented: “Being only five foot tall, I wanted to be able to easily access everything in my kitchen – the units and worktops were designed to accommodate me and the built in appliances were lowered and configured differently to suit me too, they are perfect. 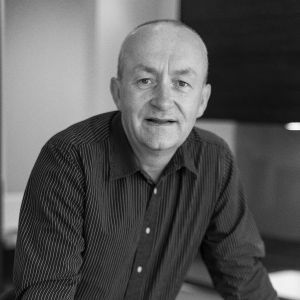 “One clever design feature was how Roger designed steps up to the work surface from the lower floor on the dining room side to enable me to reach the work surface for serving food to my guests and family. “These steps flow through to the steps between the rooms and look gorgeous in natural walnut. He also suggested, knowing our working relationship with glass, the novel idea of suspending an enormous piece of it, three metres long and nearly a metre tall to create a room divider and a unique version of a serving hatch. "One of the things I love most about my kitchen is the way the lighting reflects off some of our own design features." "If you find the trend for all-black or white designs a little too stark, follow the Mirza’s lead and combine them with a warmer tone such as Walnut. 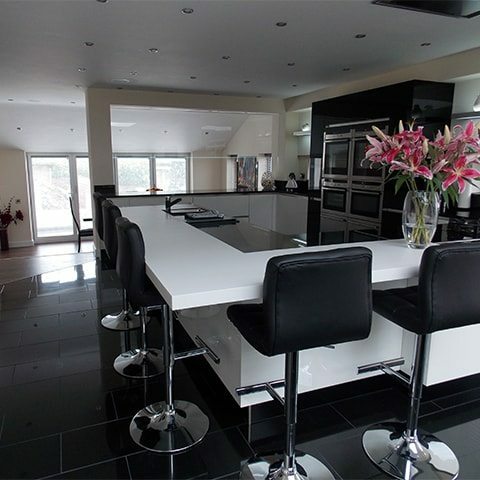 The near black work surfaces echo the shades of the black acrylic units and stainless steel Neff appliances and create a link between the cooking and entertainment areas."